Hostelling International Slovenia is the main force behind the youth mobility and youth tourism with emphasis on youth boarding options in Slovenia and is for the fifth year in a row publishing the online magazine Globetrotter, with varied information bringing the world of travel, backpacking and exploration directly to your screen. All passionate travellers are invited to join and co-create a better future through promoting travel, which helps educate people and offers greater mobility. It is time to start looking at travel in a different way. This will help us realize that travel is much more than visiting a place in your own land or abroad. It’s so much more than buying a few souvenirs and making up a photo album when we get back home. Travel is an informal way of learning, which is of great benefit to the youth of today, who want to pave their way towards the future career. This opens up new horizons in the field of linguistics, better understanding of foreign cultures, more tolerance toward others and ones-self, a larger social network and richer life experience that result in a more fulfilled life. 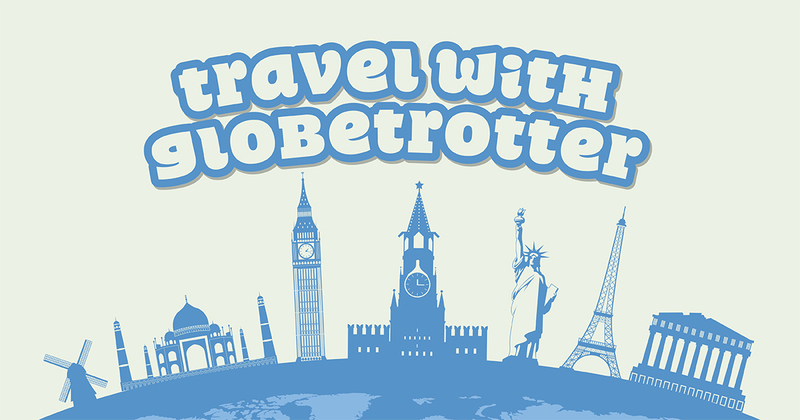 Globetrotter is a great platform to inform and encourage such a way of travel. In five years we got many readers, who constantly come back and read the articles, as well as share their experience, or give advice about something that they’ve learned along their way. And it’s always best to get information first hand – the stories of one’s own travels are most touching, convincing, educational… Only if you experience something personally will you be able to really describe the experience and talk about the lesson learned or feeling felt while it happened. The opinions of travellers is of key importance in tourism. The ratings of different places you’ve spent the night at and other tourist offers are just the cherry on the cream, which can convince a visitor for a certain product. This is the main reason why we want to enrich the content of our magazine Globetrotter with your first hand stories, which can inspire others – less courageous – to start to travel. As a non-profit organization we will be very grateful if you’ll volunteer your stories to us and present them to the audience from Alaska to Australia. But just because you’ll volunteer the article, doesn’t mean we will not try to award you. There are often possibilities to visit a destination through our organization, or join a project other organizations are conducting to promote youth mobility abroad. And we shall also promote your blog through our promotional channels, which will surely help the visit number on your portal. We’re sure you have at least one story up your sleeve you’d like to share with our readers. Contact us at info@youth-hostel.si and share your experience with the world.